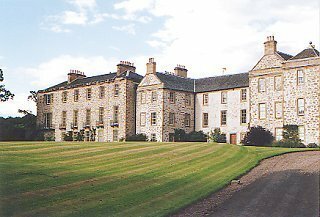 A fine mansion and estate situated 2 miles (3 km) northwest of Coldstream, The Hirsel has been the seat of the Earls of Home since the early 17th Century. The 14th Earl, Sir Alec Douglas-Home, gave up his title in 1963 to become Prime Minister and in 1974 left the House of Commons for a life peerage as Lord Home of the Hirsel. The estate is open daily and includes nature trails, the Hirsel Lake (which is a wildfowl sanctuary), and Dundock Wood, notable for its rhododendrons and azaleas. It is said to offer some of the finest bird-watching in the Borders, with 160 species recorded.